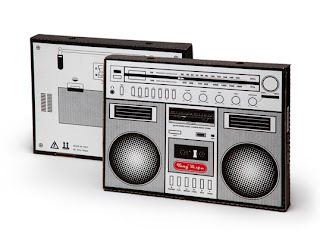 15 Creative Boombox Inspired Products and Designs. 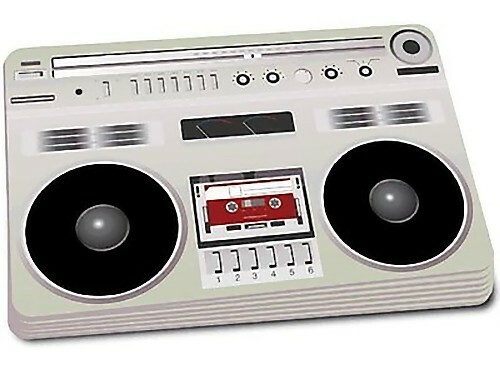 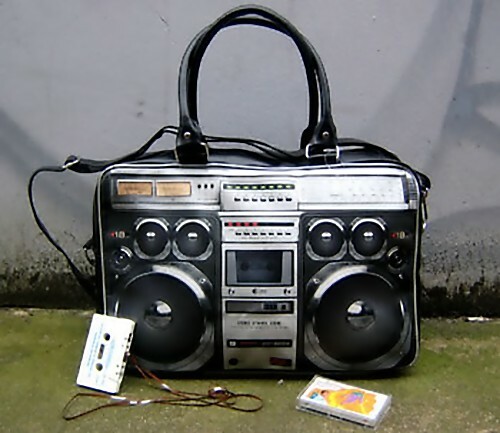 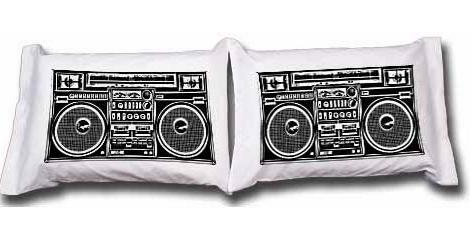 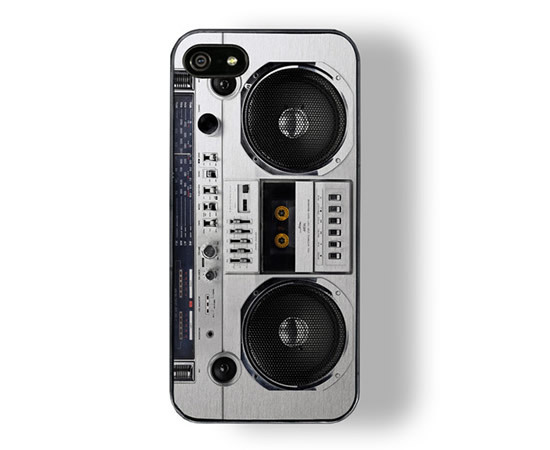 Collection of 'Creative Boombox Inspired Products and Designs' from all over the world. 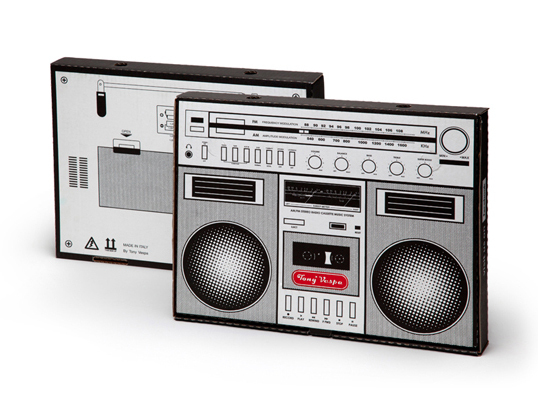 Boombox Pizza Box: Cool deliverybox packaging for Tony Vespa. 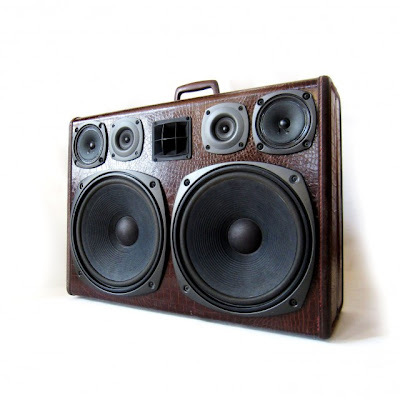 Suitcase Boombox: Mr. Simo transforms suitcases into custom made boomcases that look like pieces of art. 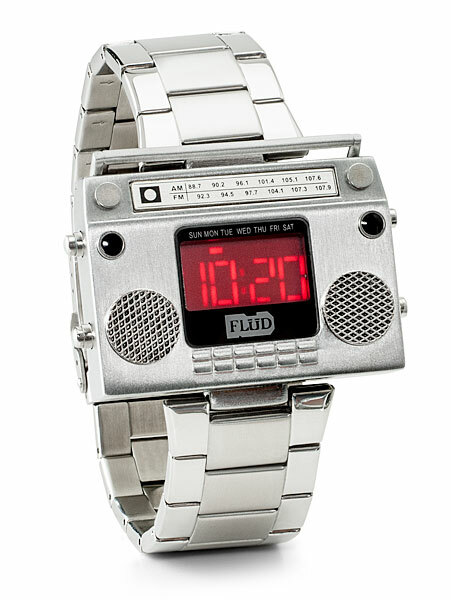 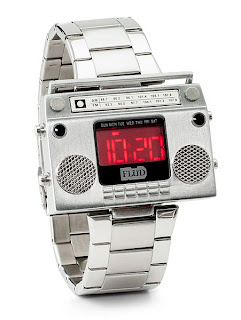 Other Posts:Boombox Metal Wristwatch: The Boombox Metal Wristwatch cannot play music; but it does one thing: it shows you've got style. 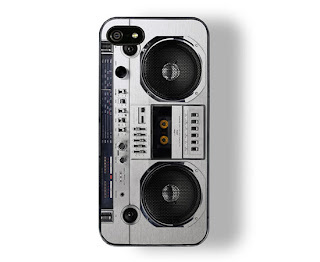 iPhone 5 Boombox Case: The silver metallic case has a 2D image of the music player. 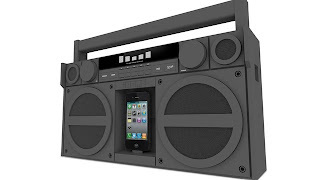 Homade Boombox Dock: These boombox speakers connect to your iPod and have little speakers inside of it. 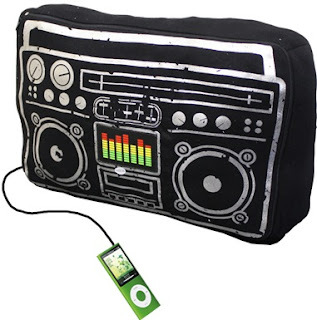 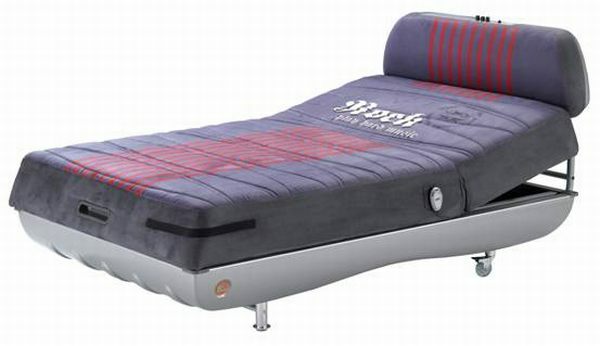 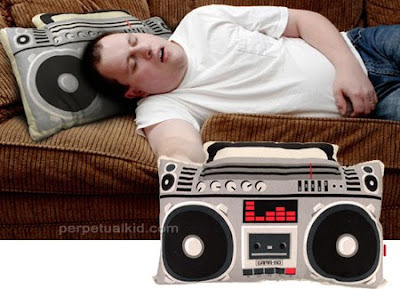 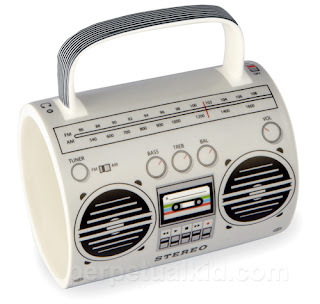 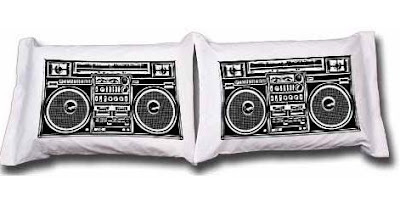 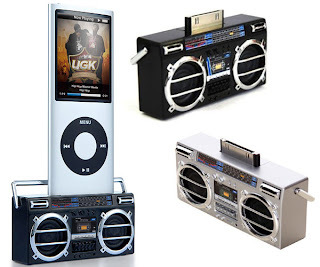 Boombox Speaker Cushion: The Boombox Speaker Cushion is designed to look like a retro cassette player boombox; comes with an equalizer panel that illuminates to the music, a 3.5mm jack to connect your iPod or other gadgets. 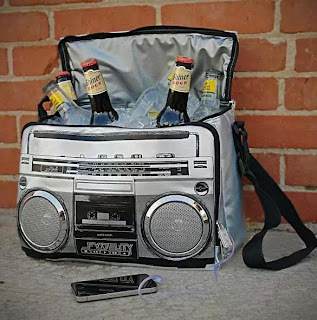 Boombox Music Cooler: It's fully insulated, waterproof and it can hold up to 12 bottles or 18 cans of favorite drink; can be connected to any smart phone, iPod, or mp3 player. 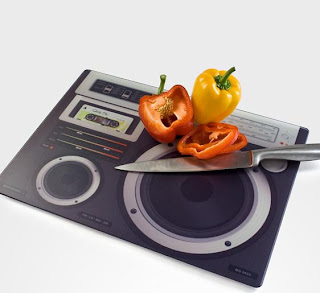 Boombox Chopping Board: The cool Boombox Chopping Board brings food and music together in your kitchen. Boombox Cup: The cup measures 4.5 inches tall x 3.25 inches wide and is made of ceramic and is dishwasher safe too. iHome iP4 Boombox for iPhone/iPod: iHome's iP4 stereo looks just like a classic boombox, but in place of cassette player there is an iOS dock.